The Layout Style JMRI panel provides the look and feel of a bird's eye view of the layout. It shows the track arrangement in the shape and rough proportions of the acutal layout. This example of the Layout Style JMRI Panel controls turnouts, by clicking on the turnout symbol. 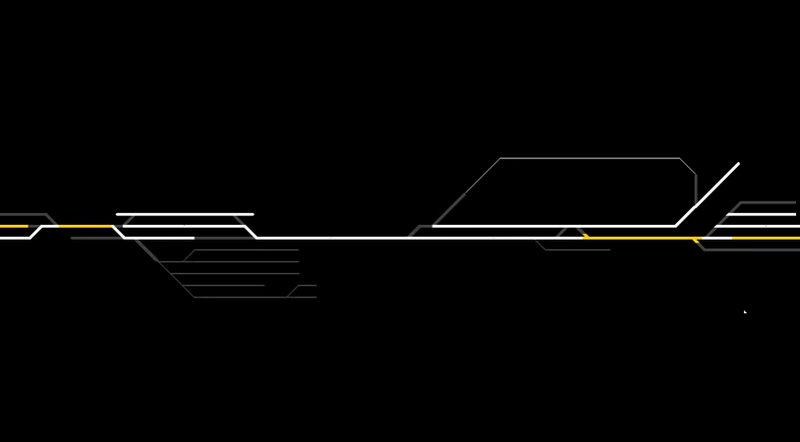 The mainline is shown in bold line and the sidings in smaller line wight. Routes are not show in this style. Track occpuancy is show as red track. Signals on the layout are shown on the panel and the color of the signal is indicated. This is an example of one of our Layout style JMRI control panels in operation. It shows both occupancy detection (red) and turnout control (white). 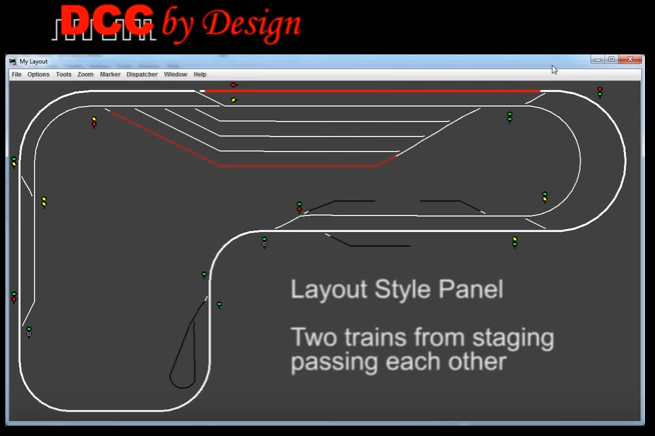 This example shows two trains traveling in opposite directions on a single track line with passing sidings and all the necessary moves for the meet to occur. Each end is a connected staging yard which is why the train appears in both at once.